USAT strives to set tuition and fees that are affordable, such that the recent graduate is unlikely to become inundated by a mountain of debt, and can therefore anticipate beginning their new career with zero or minimal outstanding educational debt. 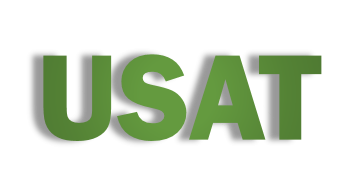 In order to accomplish this objective, USAT locks the tuition rate in place on the day of matriculation for the remainder of the student’s academic career at USAT. In addition, all fees are clearly spelled out in the letter offer of admission, and are honored by the University thereafter assuming uninterrupted study. Moreover, there are no hidden fees, special examination fees, or other unanticipated University fees applied after official matriculation. This enables students to better plan and budget for their educational expenses. This tuition policy is uncommon among most educational institutions; many of them will increase tuition periodically during the course of study. Matriculation Fee: $600.00 This fee is to be paid by all students after an offer of acceptance is received, and prior to the start of instruction. Once submitted it will assure the seat is reserved until the first day of class. Non-refundable. Tuition: $5,490.00 per 16 week semester for basic sciences, and $5,490.00 per 12 week block of clinical training. Note: clinical training fees do not include individual hospital fees for costs such as application or mentor reimbursement costs. Laboratory Fees: $600.00 per semester for campus based coursework, does not apply to clinical training. Student Medical Malpractice Insurance: Students must have a The University of Science, Arts and Technology, Montserrat approved policy with maximums of $2M/incident and $4M/aggregate. This onetime fee of USD $995.00 must be paid before clinical training can commence. Coverage is in place until the student graduates, and remains in force as long as the student remains in an active status. If the student reactivates his/her status after a hiatus of one or more semesters, the policy must be reinstated. The current reinstatement fee is $150.00 for absences of less than one year, $250.00 for absences of one to two years, and $450.00 for absences greater than two years. Dissection Laboratory Fee: The Anatomy Lab fee is set at US$600.00 per lab experience. This fee includes the issue of scrubs, gowns, masks, instruments, parking, continental breakfast and lunch. All Functional Anatomy dissection and surgical procedure labs are held at the Miami Anatomic Research Centre, a state of the art post-graduate training Institute in Miami, FL. Students must be preapproved and prepaid for the lab, and must be in good standing with the University. USAT Anatomy Lab uses pre-certified fresh cadavers only. Camera and cell phones are not permitted in the anatomy lab during dissection classes. All medical students must attend at least one comprehensive dissection lab prior to the start of clinical training modules. Anatomy majors must attend at least 5 labs during their first year of study. Graduation Fee: Payable by all students. $ 900.00 for MD or PhD, first diploma, $300.00 additional per additional diploma awarded. This fee includes cost of academic regalia rental and reception for up to 4 guests. Technology Fee: One-time fee of $500.00. Payable by all students. This fee includes the costs of webinars, electronic media, software and digital record keeping. Late Fee: $100 for each incident. 1] USAT Lock in Tuition Rate. Once a student is matriculated, the tuition rate in place on that day and as cited in their letter of acceptance will not increase during the student’s active enrollment, assuming continuous enrolment. This is a unique financing advantage at USAT. 2] USAT Interest Free Payment Plan, is set in place at the time of enrollment, until graduation. Individual payment plans can be discussed with the finance department at the time of acceptance into the University. 3] Canadian Citizens. A number of Canadian Banks also provide a line of credit to cover educational expenses for Canadian Citizens who seek to further their medical education abroad. Contact your bank for further information on these programs. 4] Walden University Second Degree On-Line Program. USAT has partnered with Walden University to bring our students the opportunity to earn a second related degree and further enhance their academic credentials upon graduation. Walden had a broad range of second degree options, including the Bachelor of Science [BS] in Healthcare Management, the Master of Healthcare Administration [MHA], Master of Public Health [MPH], Doctor of Public Health [DPH], Doctor of Philosophy [PhD], and others, all of which can also be earned at USAT in a similar simultaneous degree program. Through this partnership, USAT students can take advantage of a USAT discount, and preferred admission process, in addition to participating in Walden’s Federally Insured Student Loan Program, which also can provide funds for tuition, fees, and accommodations. Many USAT students have taken advantage of this unique opportunity while completing their medical studies at USAT. In addition, academic credits earned at Walden can be transferred to USAT at the same level originally earned at Walden University, and can contribute to additional USAT credentials by way of transfer credits and an advanced academic standing for eligible programs. Students are encouraged to find a financing option that meets their individual needs from the above options. Why spend more than you need to? You will only have to pay it back later in your career.